Shredding a Super G with flames on the snow behind you? This bad boy has your noggin covered on the hill or while chatting it up in the lodge. FIS Certified too! When your thoughts are consumed by speed and you live for victory, this is your helmet. The Strive™ MIPS borrows the same sleek silhouette from the Avance MIPS but utilizes a stiff, fiberglass shell with an EPP liner that dissipates impact energy. 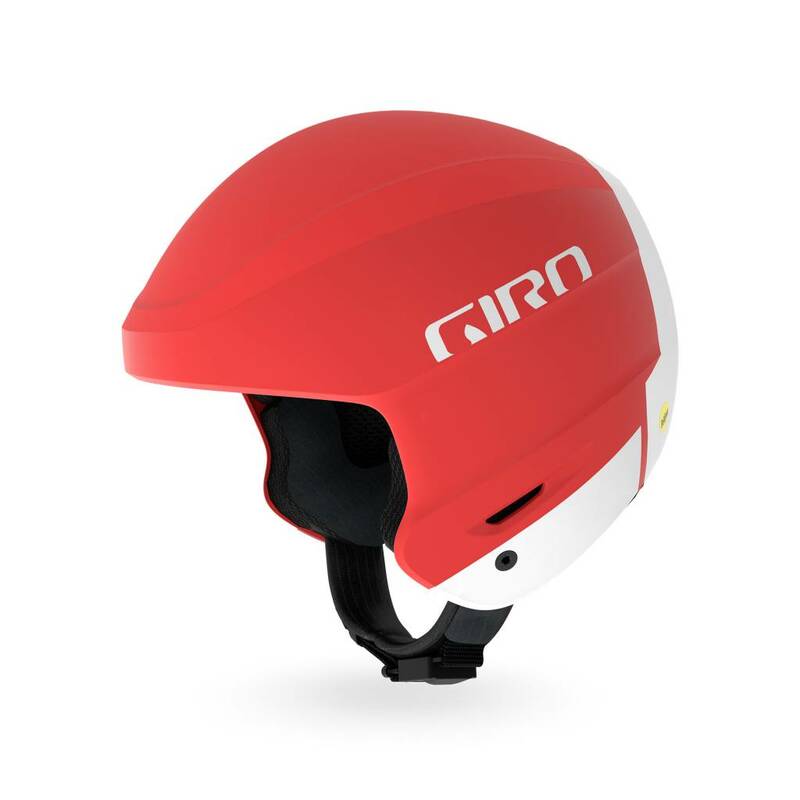 You’ll also find MIPS - which can provide more protection in certain impacts by redirecting impact energy - along with chinbar compatibility for slalom. The chinbar boasts easy, tool-free installation and adjustability to get the angle just right. With three shell sizes and six pad sets available, you’re sure to find the perfect fit. 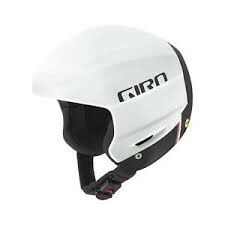 MIPS construction: All Giro helmets are designed to reduce as much energy as possible while meeting and exceeding stringent safety standards. 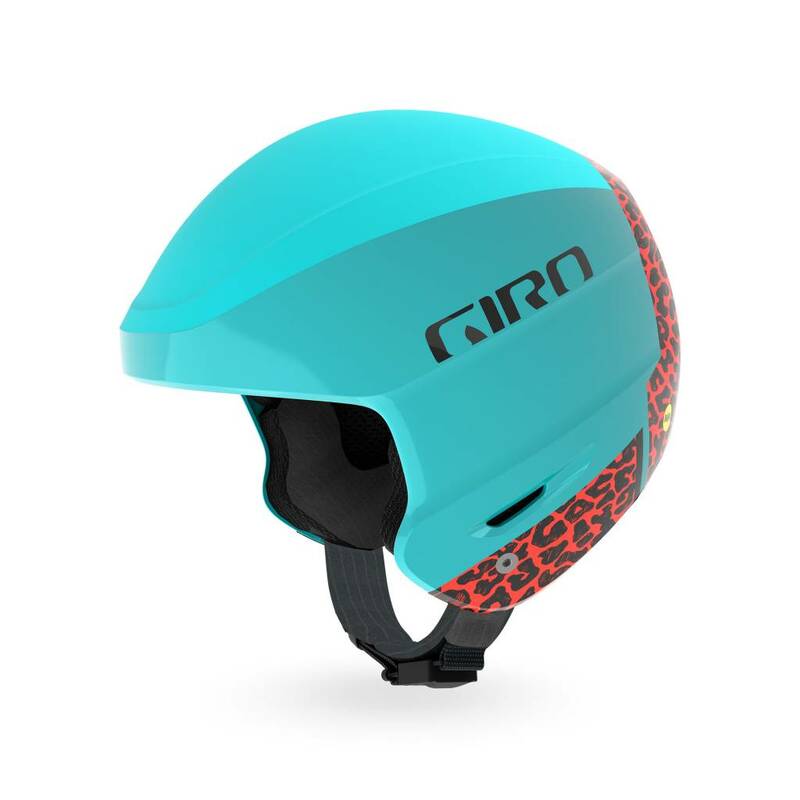 The goal of Giro’s MIPS-equipped helmets is to reduce rotational forces. 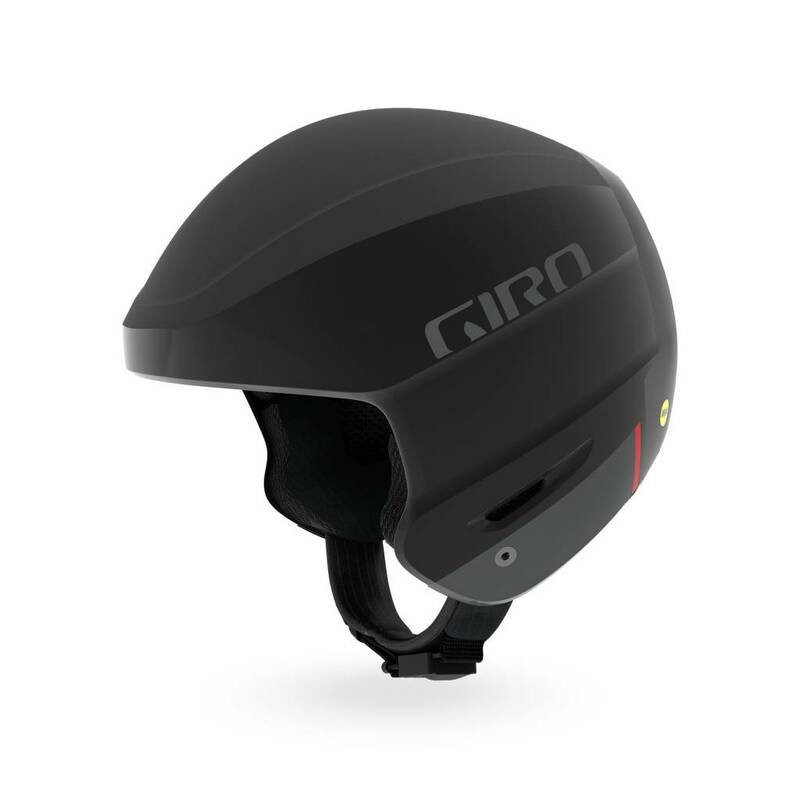 Giro believes that helmets equipped with this technology can reduce the amount of rotational force that may be transferred to rider’s brain in certain impacts. Learn more about MIPS in the video above. Seamless compatibility: For optimal performance of both helmets and goggles Giro products are designed to work together as a single integrated unit. Ensuring a seamless interface between helmet and goggles offers exceptional fit and dependable, worry-free function. X-static padding: X-Static padding contains a fiber made with layers of pure silver that is permanently woven into the fabric. Silver has natural anti-microbial performance that helps to reduce odor and regulate heat, so your helmet stays fresh and comfortable, naturally. To determine the correct helmet size, wrap a measuring tape around the heading, above the ears and level front to back. Once you have determined the measurement, you can use the chart as a guide regarding the helmet size. Giro was founded more than 30 years ago by Jim Gentes, a man with an obsession for design and answering unmet needs. That obsession led him to start making his own products, and ultimately resulted in a company committed to serving the rider through personal expression and advanced performance. Our world has changed dramatically in the past three decades, but Giro has remained steadfastly committed to serving enthusiast riders. We are and always will be a product brand. We argue for weeks about the difference of less than a millimeter in a footwear last, of a headform or the chamfered edge of a vent. We are the brand that sweats the details. From an opening price point helmet to the fit and fabric of our t-shirts to the positive click that the Switchblade makes when the chinbar is engaged. It’s that attention to detail that sets Giro apart. We understand that riding is more than just a fleeting hobby or a passing fad. Riding is the best part of a great life and your equipment deserves attention to the smallest of details. It’s because you keep climbing. That’s why we do what we do. So as long as you keep striving for faster, bigger and better, we’ll keep making the gear that gets you there.